Do you know which flower to give to friends and family born in November? Chrysanthemum, the month’s designated birth flower! 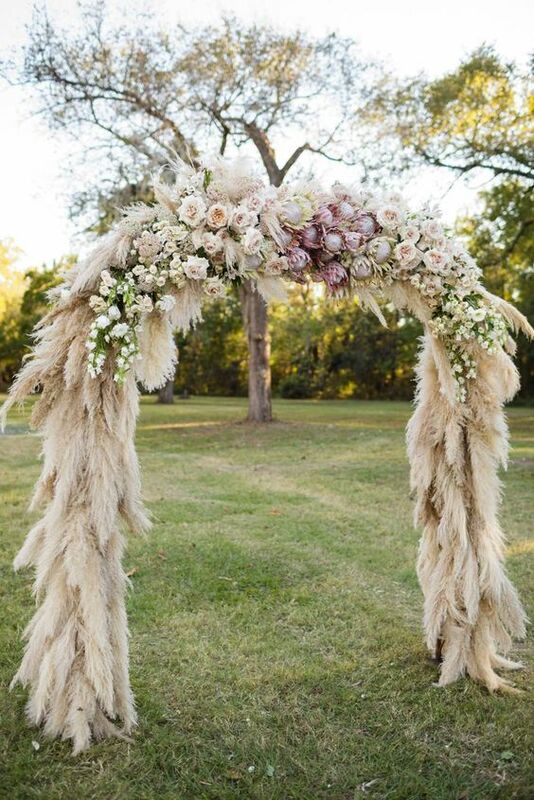 Festive, eye-catching, and versatile, it’s also a wonderful bloom to incorporate into fall weddings. From bouquets to wedding cakes, we’ve rounded up pretty floral décor ideas with chrysanthemums, this month’s BB Bloom in Spotlight. Chrysanthemums (commonly known as “mums”) were first cultivated in China where the flower was documented in writings as early as 15th century BC. Around 400 AD, the bloom was introduced to Japan. So taken by the flower’s beauty, the Japanese adopted it as the emperor’s crest and official seal. After being introduced to Europe in the 17th century, the chrysanthemum received its present day name, which derives from the Greek words “chrysos” meaning gold (its original color) and “anthemon” meaning flower. Cultivation over the years has produced various types and colors including white, red, and purple. 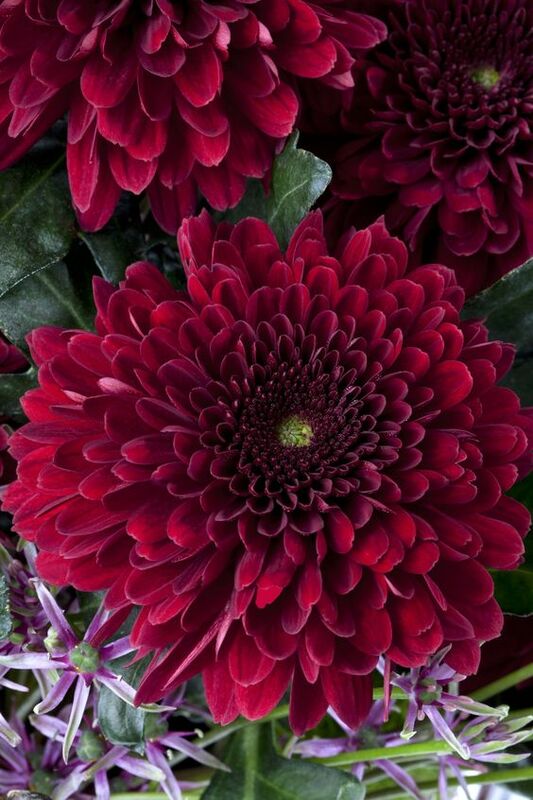 In the language of flowers, the chrysanthemum represents longevity, fidelity, joy, and optimism. 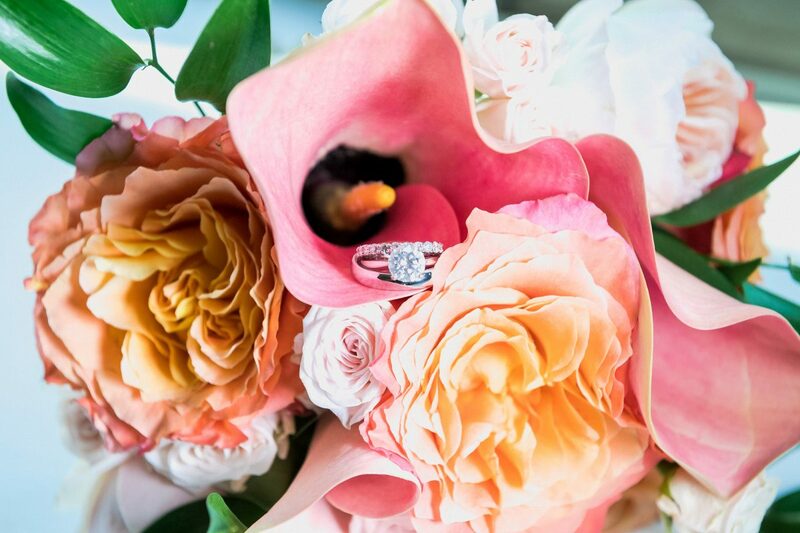 With attributes like these, it’s no wonder couples want the flower close by on their wedding day! “We had the most laid-back, fun reception. 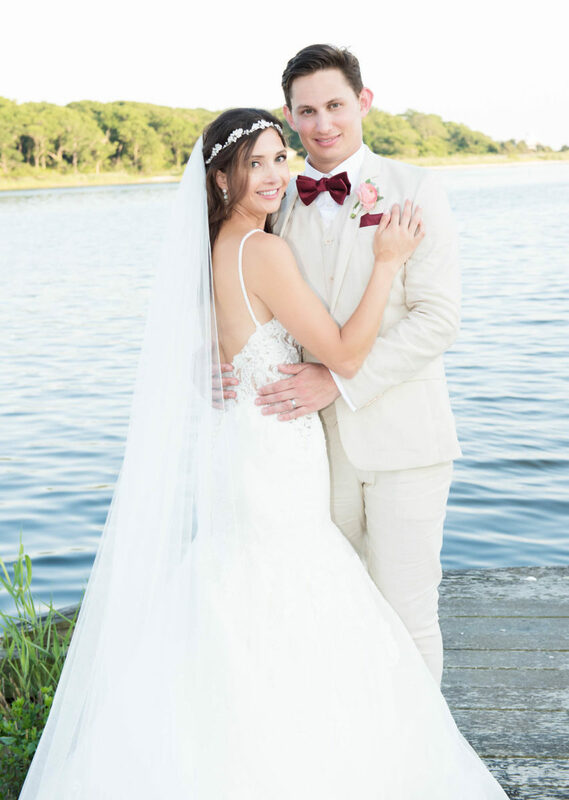 The whole party danced the night away, from the flower girls to the grandparents!” Here, our featured bride Kristen shares the final chapter in her Real BB Wedding story. 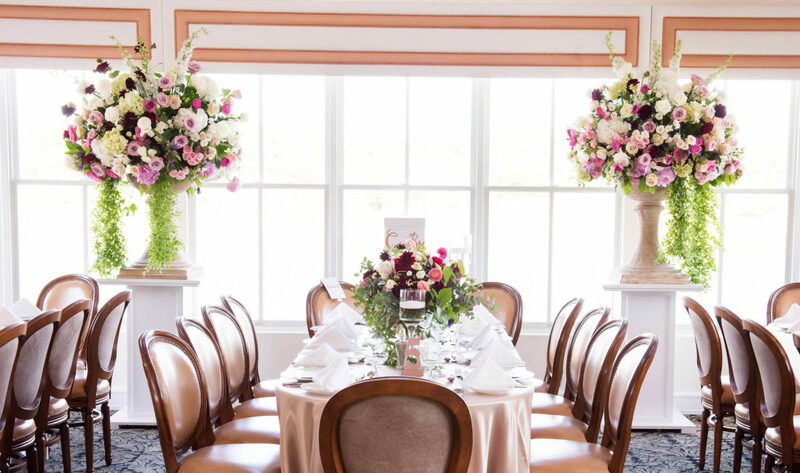 After a joyous cocktail hour, guests made their way to the reception where they were greeted by a gorgeous welcome table arrangement of peonies, roses, ranunculus, snapdragons, and stock set in chic cylinder vases of various heights. Trumpets at the Gate’s dining room is marked by large, open windows and elegant chandeliers On this day, the space was awash in natural light, casting an airy, romantic atmosphere. With its charming cottage-like building, scenic waterfront atmosphere, and breathtaking views of Moriches Bay, Trumpets At The Gate looks like a postcard come to life. 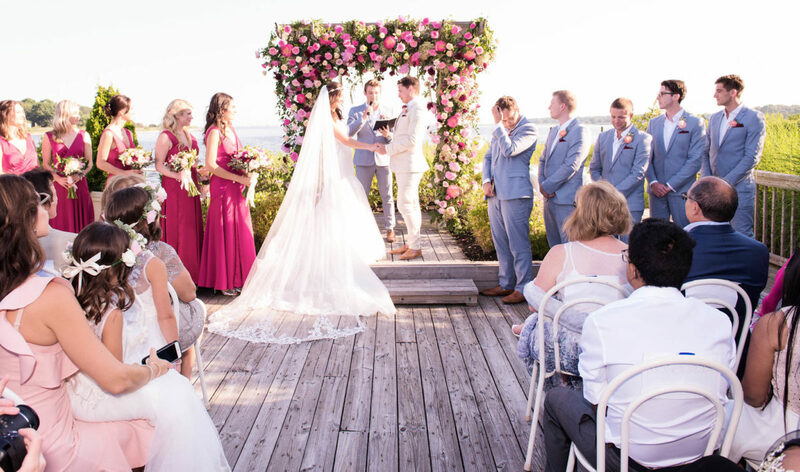 Kristen says, “When my sister Rachel found the venue just six weeks from our wedding date, it completely changed our plans in the most amazing way.” After seeing the wooden walkway leading to the water, Kristen and Joe knew it was where they would have their nuptials. Here, Kristen talks about her beautiful outdoor ceremony at Trumpets At The Gate. Obstacles inevitably arise during the wedding planning process. But imagine your wedding is just six weeks away and the contract with the venue falls through. This is the situation Kristen, this month’s Bride & Blossom Featured Bride, and her then fiancé, Joe, found themselves. But with an open mind, and some help from Kristen’s sister, Rachel, who also happens to be Bride & Blossom’s founder, the couple pulled off the seemingly impossible and had the celebration of their dreams.